Description: This WebQuest invites the student to explore the theme of teamwork and how teams pervade our daily living, whether we are conscious of it or not! 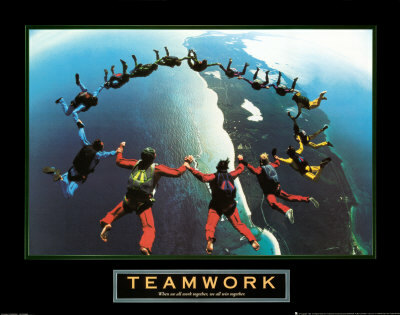 We depend on teamwork in most of what happens in our life! However, on order for teams to work effectively, there are certain principles that are important, such as collaboration, trust, communication, etc. The student will be assited to reflect on this.